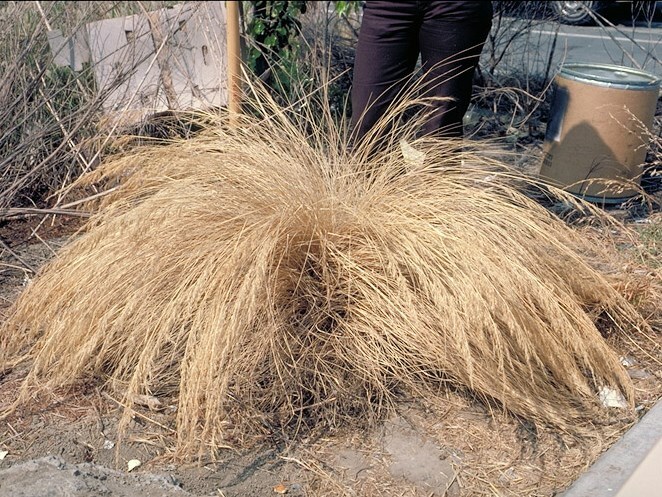 Stipa brachychaeta (punagrass) is a perennial grass (family Poaceae) that can grow to be more than 2 feet tall and is found in the Central Valley and the central and south coast ranges of California. It is native to South America. It favors grasslands, woodlands, and riparian and bottomland habitat. It spreads via seed and vegetatively from creeping roots. Water helps this plant disperse.